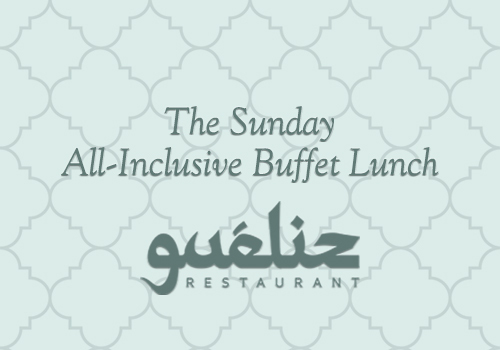 The Sunday All-Inclusive Buffet Lunch is back! Home > What's On > The Sunday All-Inclusive Buffet Lunch is back! The lavish all you can eat Sunday All-Inclusive buffet lunch is back on Sunday 7th October, 2018! A vast selection of cold and hot items to satisfy all palates will be served from 12:30hrs onwards. Served at the Guéliz Restaurant with its modern Moorish ambiance and with views of our main outdoor pool and the sea, the buffet is priced at only €29.00 per person, including house wine, house beer, soft drinks, water, juices and coffee. Children between 6 – 11 years pay just €14.50 each.